Presenting Perfection, LLC based in Ridgewood, New Jersey offers superior public speaking, interviewing and professional presentation classes. Combining the traditional techniques of a public speaking class with real-world situations, each training session provides students with insights and tools guaranteed to deliver results. Learn how to organize and deliver a basic speech, ask a well-structured question, make a positive first impression and so much more. 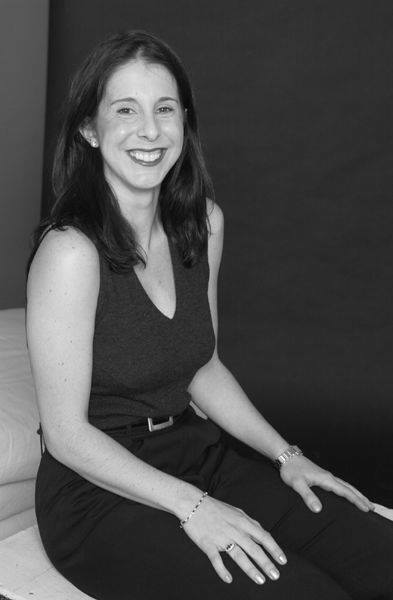 With more than twenty years of experience in the fields of public relations, investor relations, corporate communication and education, Ms. Lancioni has worked with individuals of all ages and backgrounds on understanding the nuances of presenting and speaking. During this time, she has worked as a journalist, a public/investor relations executive and as a college professor. In the early 1990s, Ms. Lancioni worked as a journalist for a variety of trade and business publications including Ziff-Davis’ PC Sources, PC Magazine and Crain’s New York Business. After several years in journalism, she moved into the public relations arena. Since the mid-1990s, Ms. Lancioni has worked with dozens of blue-chip and emerging companies in conquering their public and investor relations issues. Her clients have included: Analog Devices, Deloitte Touche, Forbes, Hoover's, IBM, Iridium, IntelliSpace, LookSmart, Monroe Litho, NCR, PanAmSat and UPS. This work has ranged from press/investor relations to media training, presentation training, branding, corporate strategy, crisis communication and merger communication. From 2001 to 2006, Ms. Lancioni served as Vice President of Corporate Communication and Investor Relations of PanAmSat where she directed the communication and investor relations programs for the $3 billion company. Reporting directly to the CEO, she led the Company's communication efforts through a variety of scenarios as it was publicly traded, privately held and acquired during her tenure. Ms. Lancioni was one of the Company’s top spokespersons to the media, as well as to Wall Street analysts. She also took the company public on the NYSE. After PanAmSat was acquired in 2006, Ms. Lancioni formed Communication Insights-a consulting firm helping businesses strategically navigate the world of communications. In 2009, Ms. Lancioni took her communication skills and experiences to the college classroom. Over the past nine years, she has helped thousands of students master the art of public speaking and presenting. In the Fall of 2013, after realizing the need in the marketplace for truly customized communication skills coaching, Ms. Lancioni created and launched Presenting Perfection. LLC in Fall 2013. Since then she was worked with hundreds of children, teens and adults master their greatest communication challenges. Currently, Ms. Lancioni serves of the faculty of Seton Hall University and Rutgers University. She has also taught at Farleigh Dickinson, Montclair State University, St. John Fisher College, William Paterson University and Ramapo College. She has been a featured guest lecturer at Cornell University, Columbia Business School, Rutgers University and Seton Hall University. Currently, she is writing her first book: Communication Research being published by Kendall-Hunt and set to come out in Fall 2018. With an educational background in managerial psychology and over 10 years of experience in marketing and consulting, Ethel has focused her career on growing small businesses into multiple locations, digital platforms, and franchising/ licensing. Ethel builds strategies for social media, marketing plans, branding, lead generation, and more. Her business vision is to expand marketing services to all industries globally.